At the Annual Town Meeting, the Mayor will also be presenting the 2019 Hailsham Community Award, given to someone who has served and shown commitment to the Hailsham community. “It’s been another very busy year where we have been taking forward a number of projects, including improvements to existing services and facilities. 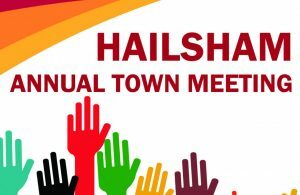 Our Annual Town Meeting offers a great opportunity to provide a comprehensive update on the important community projects that we have been working on to take the town forward,” said John Harrison, Hailsham Town Clerk. Further details about the Annual Town Meeting, including an Agenda, will be available on the Town Council website and public notice-boards in Market Street and Vicarage Field in April.